Rio Ferdinand, distinguished footballer and devoted father, recently posted a video sporting a pair of Quiet Rebellion socks. Sitting comfortably and rotating a fidget spinner on his toe, Rio’s socks appeared to garner more attention than his tricks. With the video viewed more than 300,000 times in the first hour of posting, Rio’s followers were keen to know where his quirky socks were from. 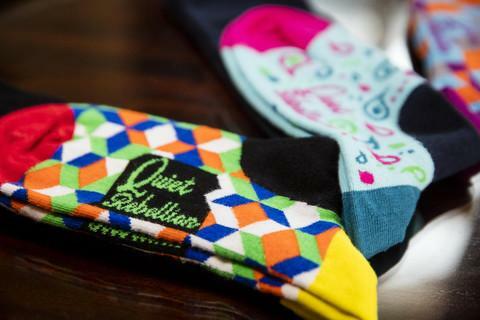 This Is Publicity recently ran a father’s day campaign for Quiet Rebellion as the brands socks make the perfect gift for dads with a sense of humour. We can’t help wonder whether Rio’s kids may have seen the coverage!